If you're in need of urgent care, Inglewood can be a difficult place to reside. The busy urban community is used to congested freeways and side streets, making travel difficult, even in the best conditions. However, those in the famed Los Angeles neighborhood can rest easy, thanks to the efforts of the House Call Doctor Michael Farzam, MD. To many, the thought of house call physicians seems to be a thing of the past. However, for over 10 years, Dr. Farzam has served as the concierge physician you can trust for urgent care in Inglewood and across the heavily populated region. Dr. Farzam offers a number of services to his patients that are rare in medical facilities, and even in the elite 24 hour on call doctor community. With Dr. Farzam, you'll find Same-day appointments for home, hotel and work calls – even on weekends or holidays. You will also benefit from the doctor's commitment to efficiency. That means you'll find a wait time that is typically less than one hour. Perhaps best of all, once you make the call, you can continue to enjoy the comfort of your own home, as opposed to the stuffiness of the average medical waiting room. 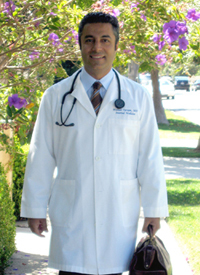 After calling Dr. Farzam for urgent care, Inglewood residents can continue to enjoy the punctuality and professionalism of the top-rated doctor through benefits like direct 24/7 access to physicians through phone calls, texts and emails, as well as prompt follow up for tests, reports and other results. While it feels like a revolutionary service, in essence, Dr. Farzam is simply providing patients with the sort of warm, personalized service that was common in years past. Whether you're in Inglewood, or any other Los Angeles neighborhood, you can contact the House Call Doctor Los Angeles by dialing 310-849-7991, and look forward to one-of-a-kind care.